The glass fiber offered by Afzir Company is two forms of UD glass wrap and plain glass wrap the most popular and most consumable fiber used in the composite industry. This is one of the several reasons for the high sales of fiberglass wrap. The price of glass fiber compared to other fibers such as carbon fiber and aramid is very low, which has led to more fiberglass wrap sales in recent years. Fiberglass wraps consist of glass fibers, with warps of about 10 microns in thickness. The high tensile and chemical strength of fiberglass wrap has led to increasing use of them in the manufacture of parts for the aerospace, automotive, marine and building industries, furniture equipment and sport equipment. 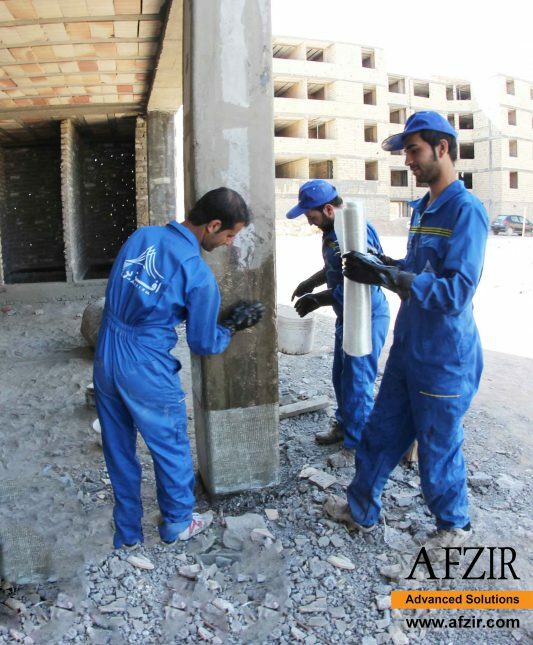 FRP products are the most common product for retrofitting, reinforcing and improving various structures in the building industry, and are also widely used for protecting various components against corrosion and chemical environments of FRP lining (isolating metal pipes and chemical protection in corrosive environments with very high or low pH). 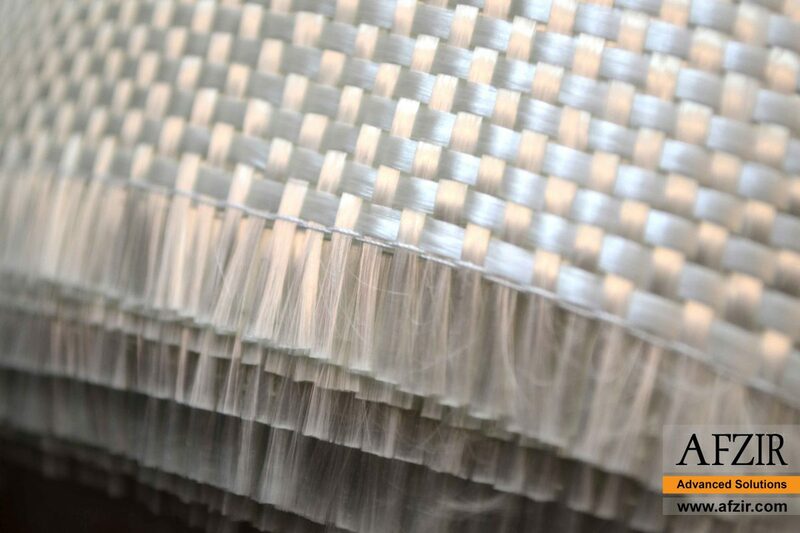 a) E-glass fibers: This type of glass fiber is the most common type in the market, accounting for 80 to 90% of the GFRP product, which is the least alkali used in its manufacture. In addition to reinforcing structures, these fibers are also used as electrical resistors in the electrical industry. (E=70 GPa , 2500-1500 MPa and% 3-8 / 1 ). The price of the glass fiber is cheap and the use and sale of E-glass glass fiber is relatively high. b) C-Glass fiber: This type of glass fiber is rich in lime with beryllium and silicate, and is used extensively in environments where corrosive chemicals are present. C-glass fibers are used as reinforcing fibers. This type of fiber provides excellent resistance to acid corrosion, and its main application is in surface coating of pipelines and surface coatings of reservoirs. c) A-Glass fiber: This type of glass fiber with an enormous amount of alkali is out of production cycle, now. d) S-Glass fiber: These glass fibers have high strength and elastic modulus, and are mostly used in the aerospace industry and aerospace and aerospace research to cover missiles and airline components. These fibers have a good thermal performance and require specific quality control at production time. The price of the S-Glass fibers is very high and is the most expensive type of GFRP. That’s why the sale of this type of glass is low. ( E = 87 GPa and 39000 MPa). Well-distributed, uniform tensile strength, good vertical performance. Fast impregnation, good mold durability, easily removing air bladder. High mechanical strength, less strength loss in wet condition. The price of glass fibers is more suitable than other fibers. The high selling value of the glass fiber makes it available in various types. Tensile strength of glass fiber is high. Glass fiber is a good electrical insulator or, in other words, glass fiber is not conductive. The chemical resistance of the glass fiber is high and suitable for corrosive environments. The GFRP wraps have a lower tensile strength than that of carbon fiber wraps, which makes structural engineers more willing to use carbon fiber instead of glass fibers to retrofitting buildings with FRP. The glass fiber’s specific gravity is relatively high compared to carbon and kevlar fibers. GFRPs are sensitive to abrasion during transport. The fatigue resistance of the GFRP is relatively low. The GFRP glass fiber is relatively fragile and brittle. The stiffness of the GFRP is high, resulting in the wear of the molds and blunting of cutting tools in composite work. It is noteworthy that the glass fibers are formed from of low diameter glass mono-filament, which in the event of the advent of a breakdown phenomenon, can be due to the presence of fine cracks with surface defects on the surface of the fibers Only single fibers or single glass fibers will break down and prevent the full failure of the fiber strand. Therefore, a fiber string has a greater fracture toughness than a fiber of the same overall diameter, because in thick fibers, crack growth resulting from surface defects results in failure of complete unit. The company offers a wide range of high-strength refractory products in unidirectional, two-directional, and Multi-directional textile weirs and Resistors. 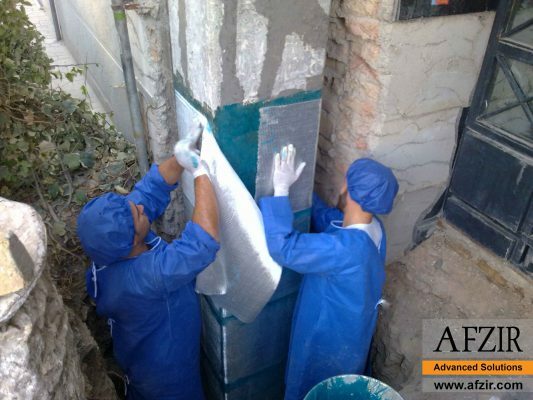 Fiber glass is compatible with many resin systems such as saturated polyester, vinyl ester, phenolic resins and epoxy resin and forms a very good composite system.